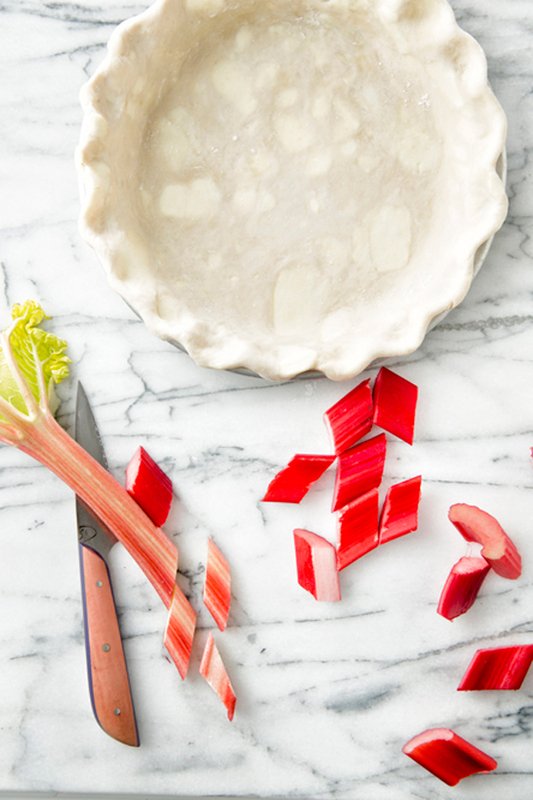 Rhubarb pie…yes! 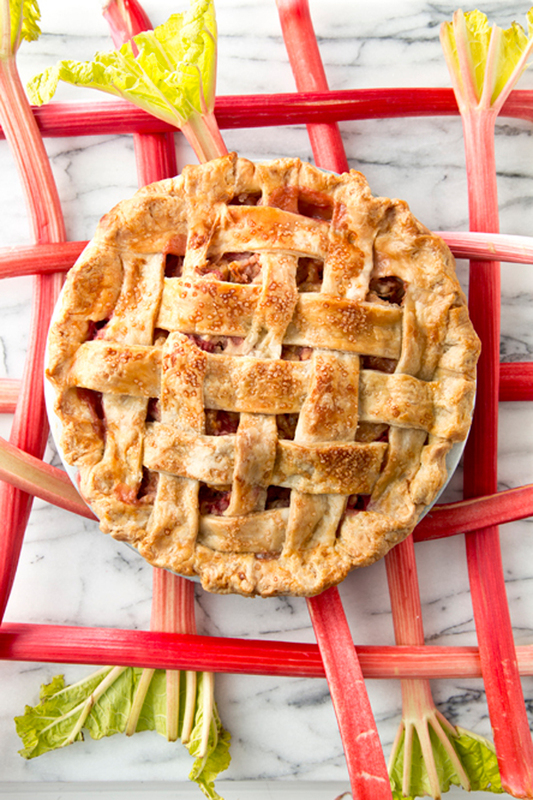 Ginger Rhubarb Pie…you bet!! On a lightly floured surface, roll out one half of the dough and drape over a 9-inch pie plate being careful not to stretch the dough. Allow the dough to loosely drape over the sides. Refrigerate while making filling. In the bowl of a food processor fitted with the blade attachment, add the candied ginger and pulse until nearly pulverized (you can also chop finely with a knife). 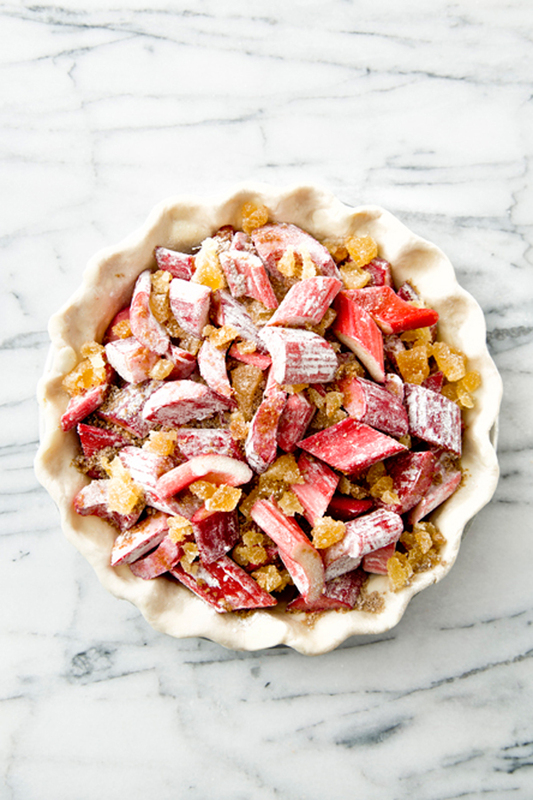 Add the pulverized ginger, rhubarb, sugar, flour, salt and cinnamon to a large mixing bowl and toss to coat. 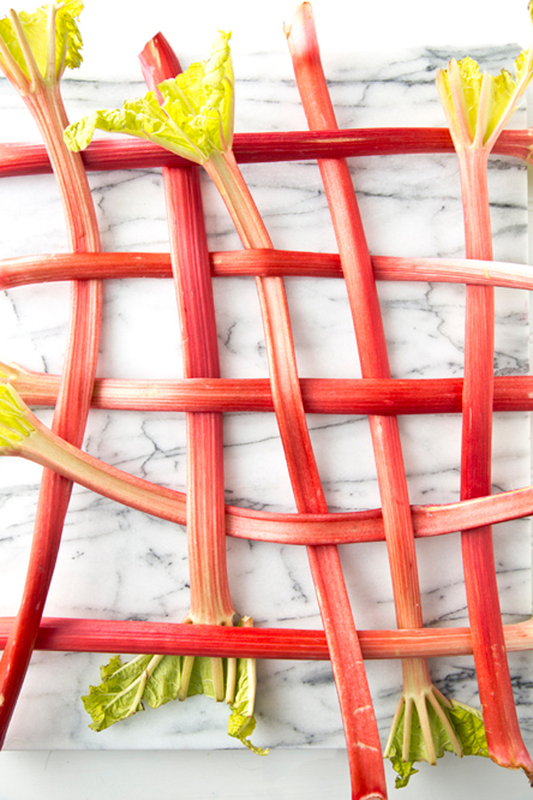 Place rhubarb filling in chilled pie shell and top with a lattice top pie crust (Learn how to do a lattice top pie crust HERE). Brush the top of the pie with the egg wash and sprinkle with the turbinado sugar if desired. Bake until the filling is bubbling and the crust is a rich golden brown (about 1 hour and 15 minutes). Let pie cool completely before slicing and serving.